As first reported by TMZ, and just confirmed by ESPN's Ramona Shelburne, the Donald Sterling saga may end painlessly and without going to court. According to the reports, Sterling will leave it to his maybe-estranged wife Shelly to negotiate the sale of the Clippers. 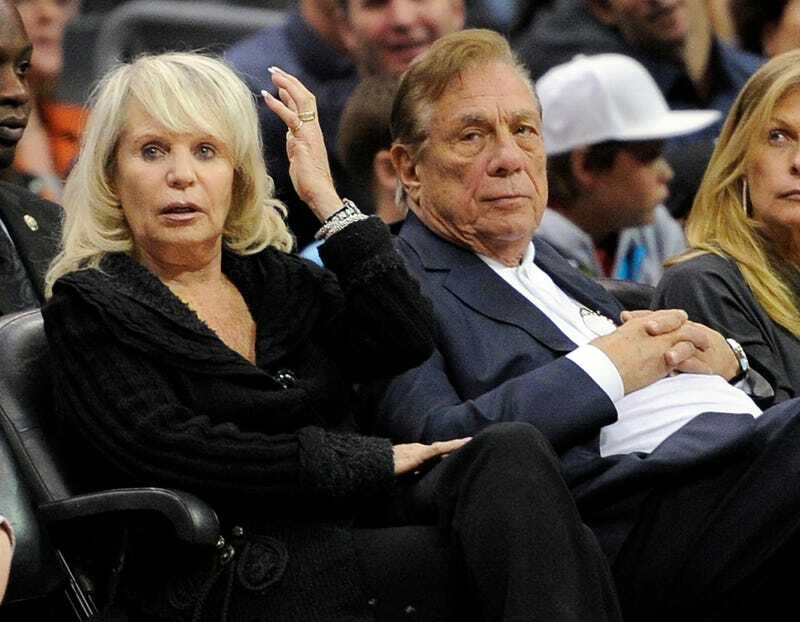 Shelly Sterling, who co-owns the Clippers via the Sterling family trust, has claimed that the NBA doesn't have the right to force her out along with her husband. The NBA disagrees. But now, 11 days before Donald Sterling's planned hearing, it appears that things are moving away from an apocalyptic showdown. Clippers sources tell TMZ that money is the issue—that if Sterling retained the team, the NBA would force an involuntary sale and he'd lose all leverage. That meshes with Bill Simmons's claim that the association's lawyers have spent days emphasizing to Sterling's camp just how much less he'd pocket, between the forced sale and the legal fees. Ceding control to Shelly Sterling makes everyone happy. Donald doesn't pollute negotiations or lower the sale price just by his presence. Shelly gets to have final say on the sale. And the NBA gets some non-toxic ownership for a franchise with a healthy (perhaps temporary inflated) valuation. It's a win-win-win situation, which is why I'm sure it will all go to hell before long.